It’s easy, add-free and secure. Create a website for someone you are caring for, or for yourself. To personalise an account, add photos and you’re ready to go. We will always keep your information private and secure. 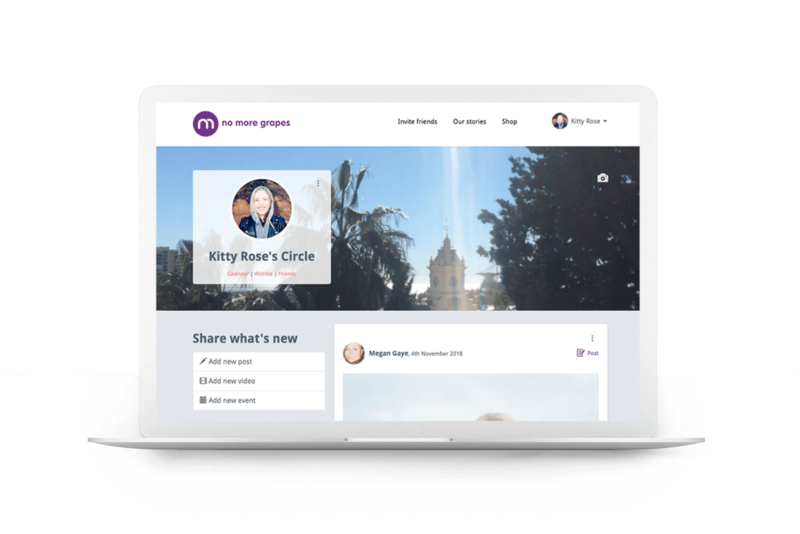 Enter a Family or Friend's email address, and a message will be sent to them asking to join the Circle, or just copy and send them a direct link. Let family and friends know how things are going. Make it easy to keep in touch and give the support that is needed. It can be difficult managing visits, and for friends and family to know when is best to drop around a meal or help with a hospital visit. Let family and friends know which days support is needed through the calendar so they can see when and how to help. Sign up to create a Circle and invite Family and Friends.